Last few articles have been written on Windows privacy tweaker apps. 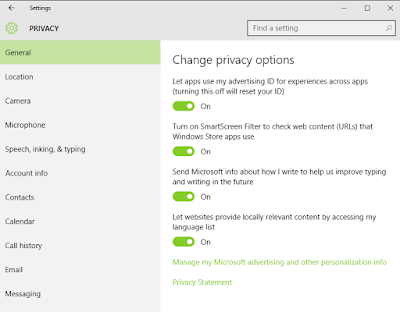 In this article, you will understand to change privacy settings of your PC from Inbuilt settings. In privacy settings further comes General, Location, Camera, Microphone, Speech, Inking, typing, Account info, Contacts, Calendar, Call History, Email, Messaging, Radios, Other devices, Feedback & diagnostics, and Background apps. Now first is General, here you will change settings related to General area. 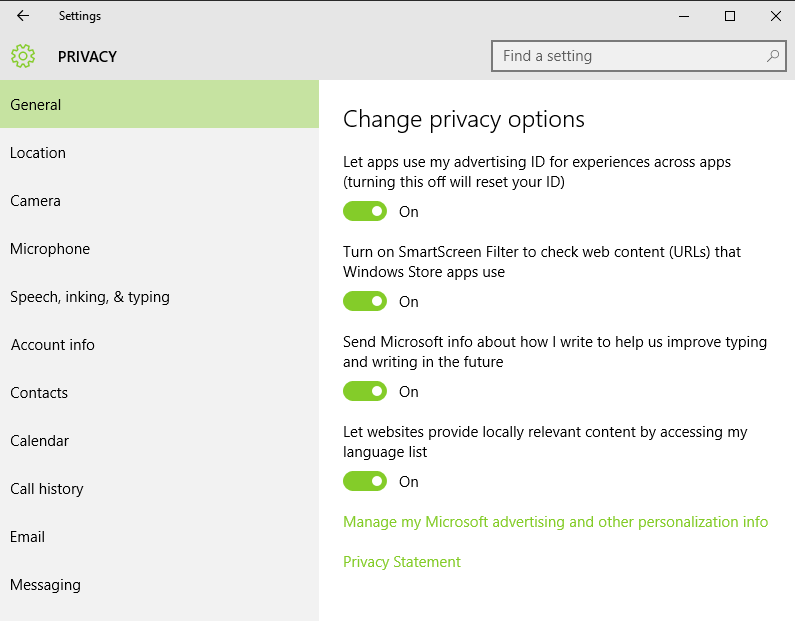 To go to General follow this path: To open General, go to Start menu, click on Settings, and now click on Privacy (Location, Camera). Click on General. 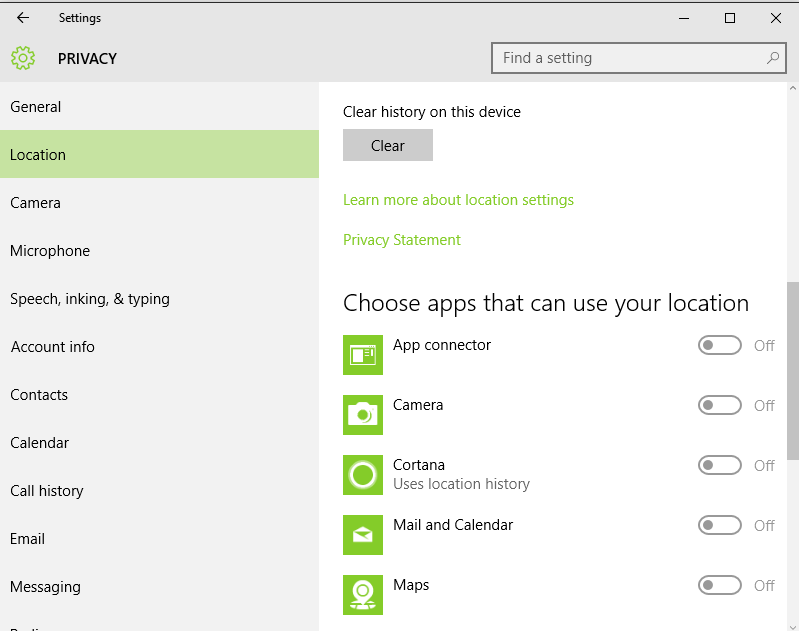 To open Location, go to Start menu, click on Settings, and now click on Privacy (Location, Camera). Click on Location. Here you can enable/disable Location of your device. When this setting is enabled then whoever is signing in that device can change device location setting. If location is off then for everybody. 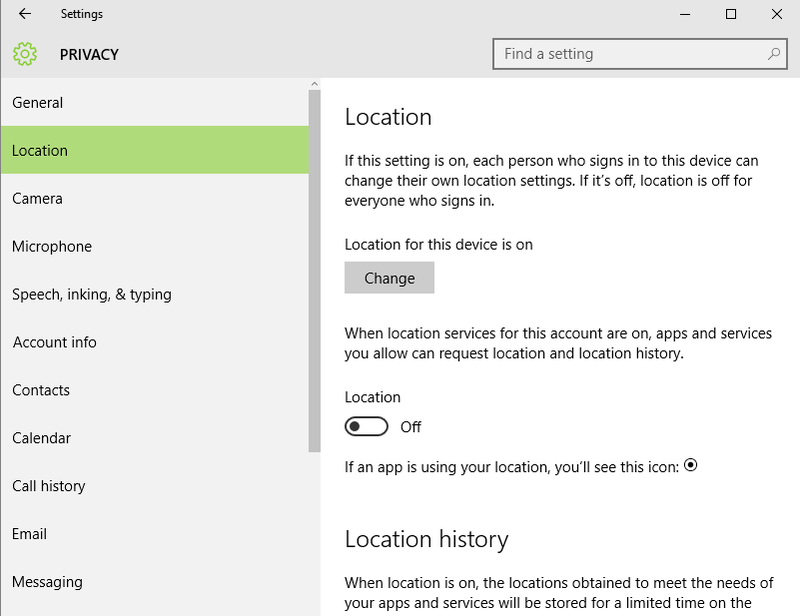 Apps and services can ask for location and history if you allow them when location setting of this device is on. You can change the location of your device here. When location is on, the locations obtained to meet the needs of your apps and services will be stored for a limited time on the device. Apps that have access to these stored locations will appear below. You can choose apps that can use your location. Further, you can enable/disable them. 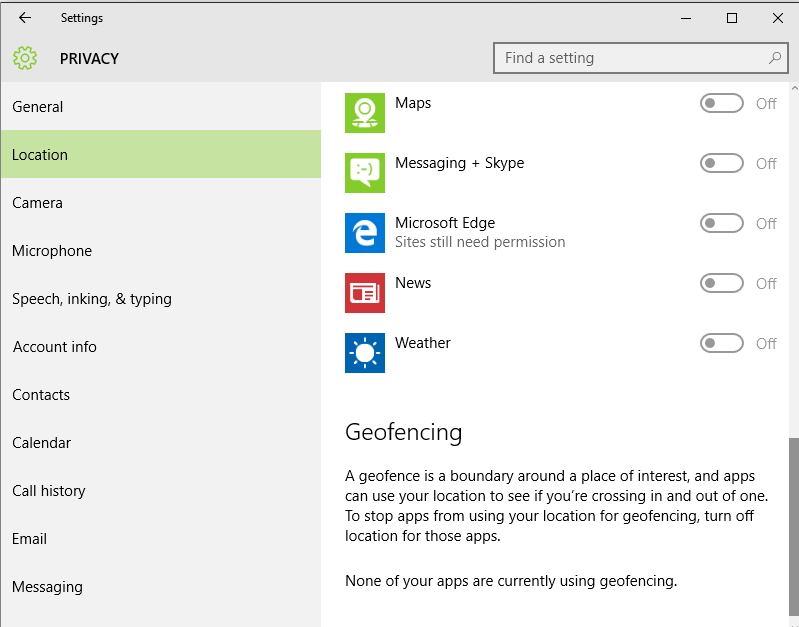 A Geofence is a boundary around a place of interest, and apps can use your location to see if you are crossing in and out of one. 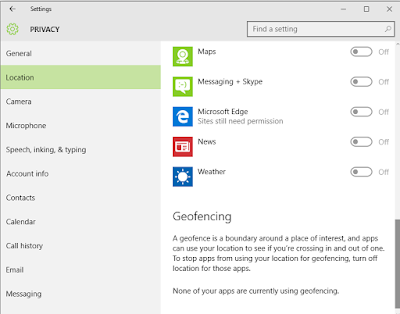 To stop apps from using your location for geofencing, turn off location for those apps. 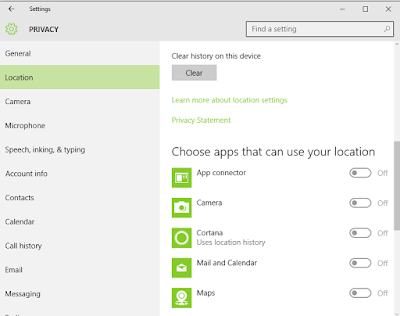 You may like REMOVE WINDOWS 10 APPS WHICH LEAKS DATA WITH DESTROY WINDOWS SPYING.